At last a sunny morning that feels a little more like spring. 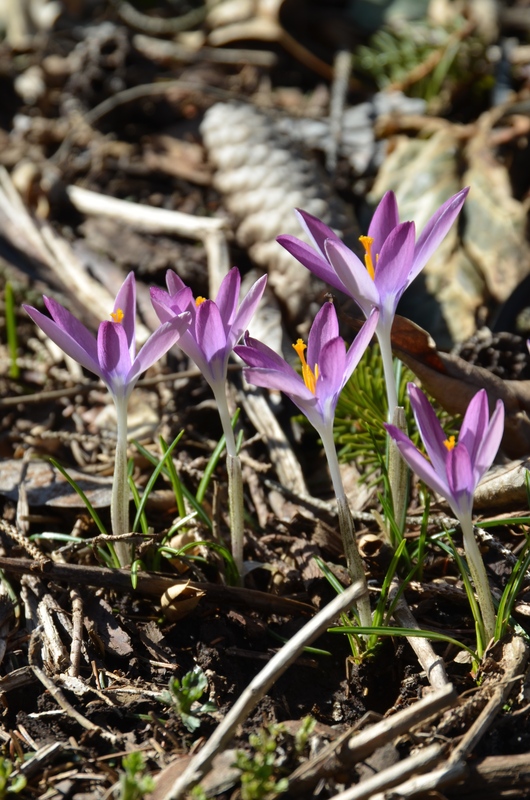 These two photos, taken twenty minutes apart, show the opening of these diminutive crocuses as the sunlight warmed them. How cool to actually stand there and watch flowers open.